I think nostalgia has changed at Disneyland. 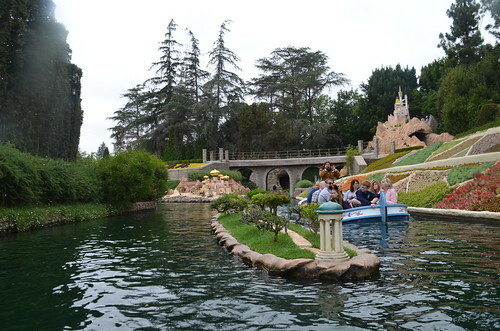 Walt Disney built Disneyland with an a good dose of Nostalgia. 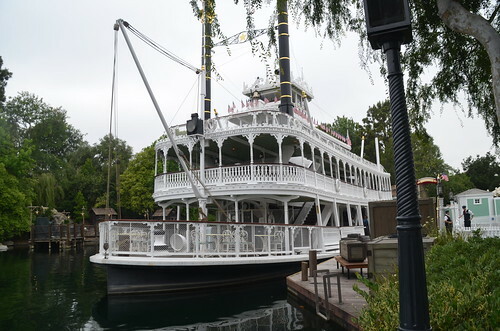 Main Street USA, Frontierland, Adventureland, and New Orleans Square all are about the America of the past. In the 50's and 60's these park lands where trying to appeal to people who wished they lived through these times. Looking at media at the time, Walt Disney was not alone in this idea. Westerns were some of the most successful TV shows of this time. Part of the way to make a successful unreal place is to make it just close enough to reality for people to recognize it. This idea appeals to both adults and children at the time. I think nostalgia has changed at Disneyland. I took Aiden on the Storybook Land Canal Boats, sitting across from us was a family of a 15 year-ish girl, mother and father. The mother smiled at us and she noted to her daughter, "he is the age you were when we first took you on this ride." The girl smile at her mother and said back, "And we start of every visit on this ride." This was not the only event like this. It was clear from people on line for the Hunted Mansion, Pirates of the Caribbean, and It's A Small World, it was not only about this ride, but all the times the rides the people had before it. I think this is an interesting change. 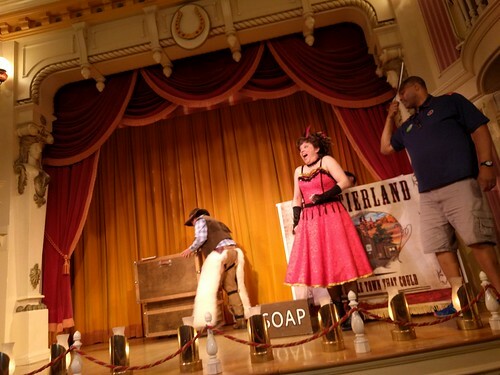 People do not seemed to be attached to the Old West nature of Frontierland. They don't imagine themselves as cowboys and outlaws while they are there. They imagine them self as a younger version one an earlier trip to Disneyland.